Chris Leuenberger (Switzerland, 1979) studied acting at the Pacific Conservatory of the Performing Arts (USA) and choreography at the School for New Dance Development (NL). 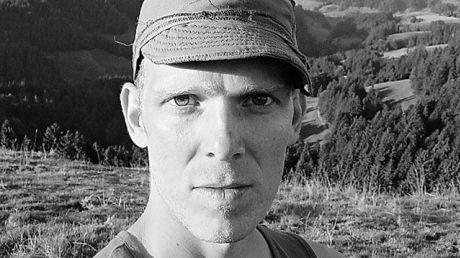 Based in Amsterdam and Bern as a freelance choreographer and performer, Chris collaborates with different artists in various contexts and formations. His piece White Horse – an attempt at live therapy won the ITS Choreography Award 07 and marked the beginning of an ongoing interest in a therapeutic approach to dance and theater. In autumn 2007 Chris founded the collective White Horse together with Lea Martini and Julia Jadkowski. After their debut piece TRIP (08) they made ROMANCE (09), TRIP en masse (10), GROUPIES and TOGETHER (2011). All of their work to date deals with social phenomena of togetherness as depicted in the mass media. The work of White Horse has been widely shown in venues and festivals in the Netherlands, Germany and Switzerland.